PAC – Connecting cars and technology. Your total installation solution. Discover the beauty of engineered simplicity. AmpPRO, AP4-GM61 turns a highly complicated install into plug-n-play simplicity for select 2014 - 2019 GM Vehicles. Life just got easier for aftermarket radio installers, and better for their customers. PAC now introduces RadioPRO Advanced. RadioPRO Advanced is the next generation of radio installation adapters. These new and improved aftermarket radio adapters are loaded with new features, so you can upgrade a vehicle’s radio without losing factory features. The Fast Way to Better Sound! 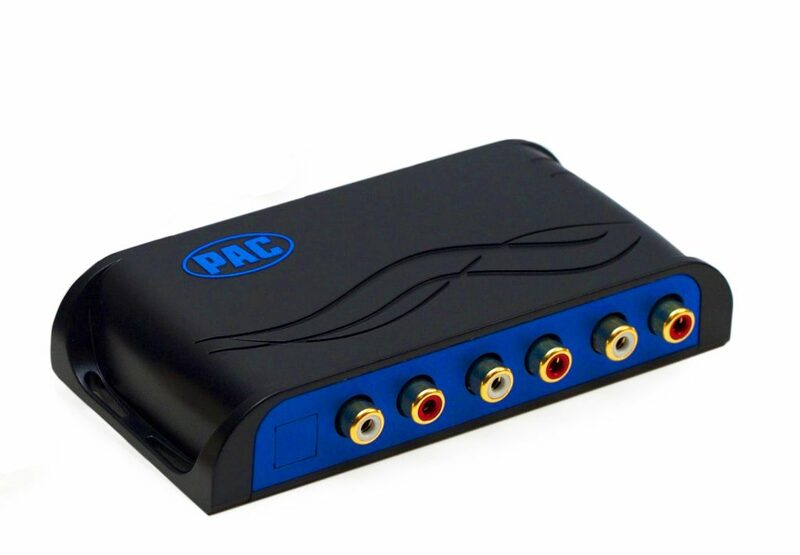 PAC AmpPRO – The Fast Way to Better Sound! BKVVSB1040 (American International: VVSB1040) is a quality fitting solution for installing upgraded speakers in select Volvo vehicles. BKMITK896S (American International: MITK896S) dash kit provides a quality fitting solution when upgrading the factory radio in 2004 – 2012 Mitsubishi Galant vehicles equipped with manual climate controls. PAC's SWI-CP2 – Now with even more applications! Check out the newest products and applications on the PAC site! Today's modern vehicle audio systems are becoming increasingly more sophisticated and complex. PAC engineered AmpPRO to drastically simplify the installation of upgraded amplifiers in data-bus controlled amplified sound systems. AmpPRO allows you to keep the original radio's fit, finish and features while giving you the freedom to improve the audio performance in record time!